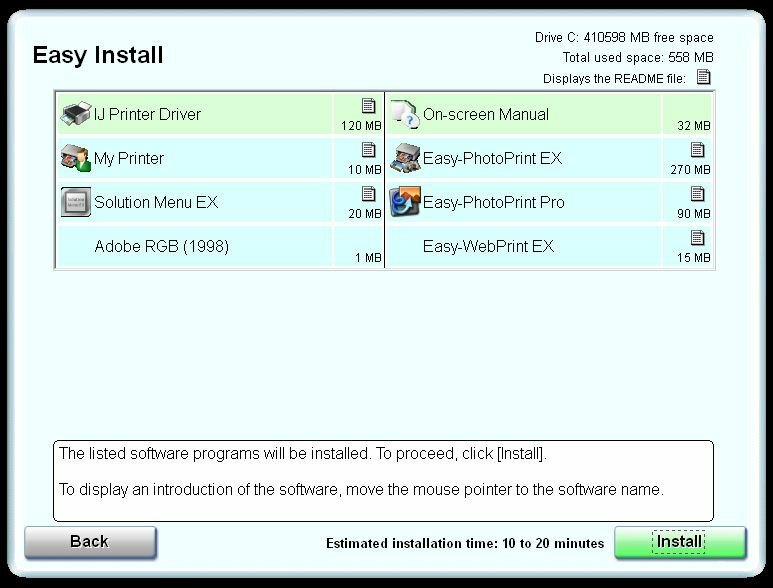 Printer Driver (Windows 7 was used for the following illustrations). 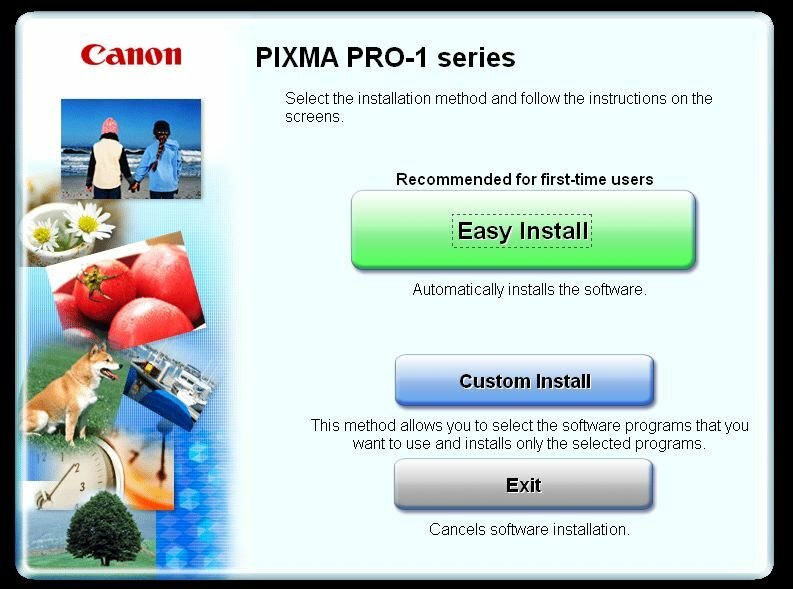 When you pop the Canon PIXMA Pro-1 Setup CD-ROM into your PC, this auto-play screen will appear if you are using Windows 7. You have options to choose Easy or Custom Installs, or you can Exit the app. Selecting the Easy Install (recommended) will bring you to the next screen. Here is displays everything that will be installed on your PC, along with the available hard drive space, the amount of required disk space, and lastly the estimated installation time; "10 to 20 minutes". Click Install to start this process. 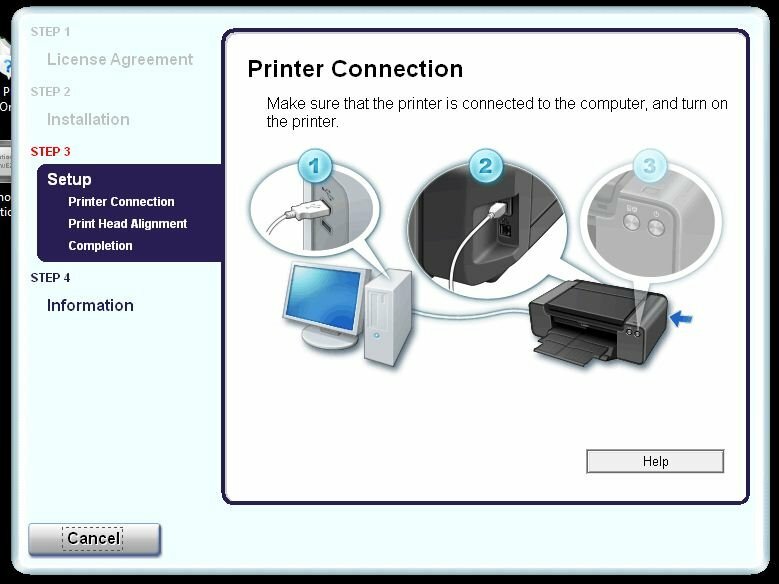 Next you need to clarify how you will use the printer to communicate with your PC. 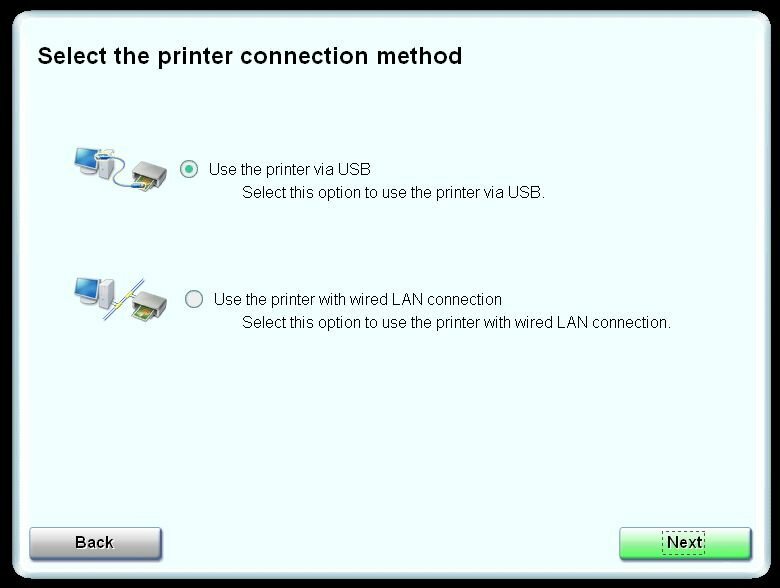 You can choose to connect the printer to your PC via USB, or use the Ethernet port to use it as a network printer. We chose USB for this evaluation. 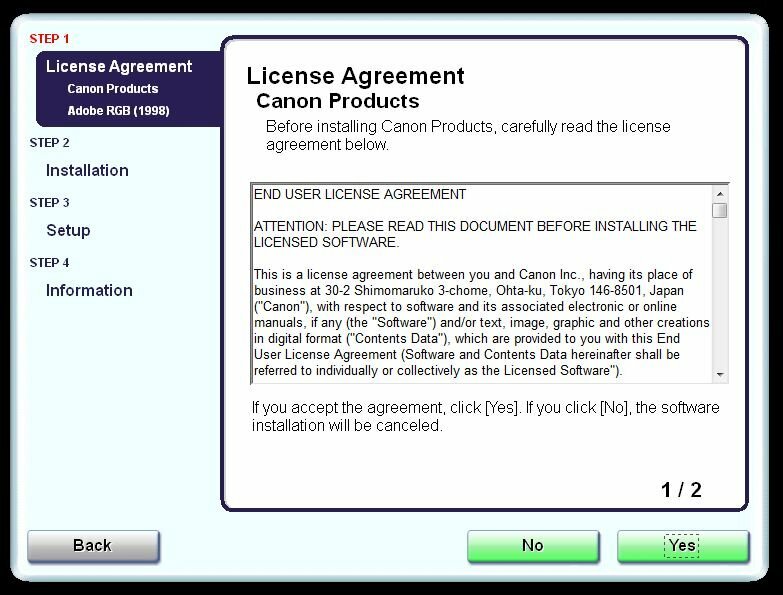 Next you need to accept the Canon License Agreement. 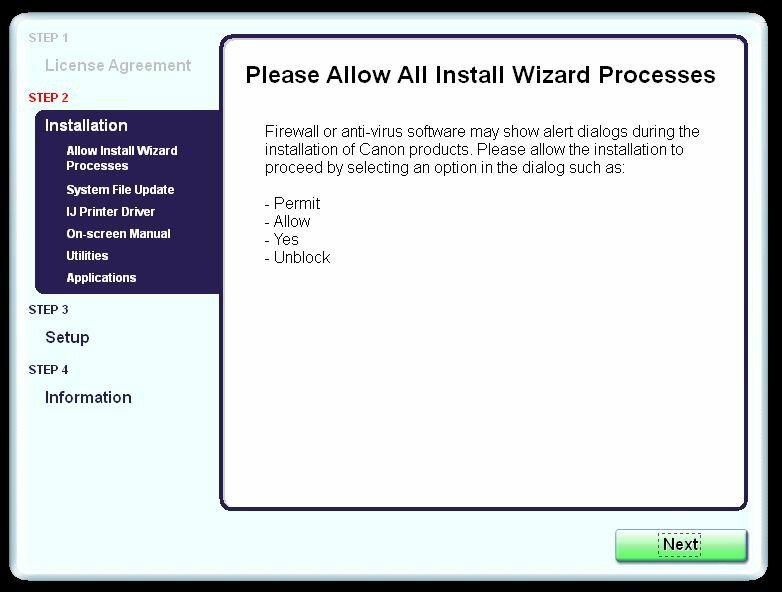 Once you accept the License terms, this screen is displayed that notes that you need to make sure that any anti-virus or firewall you have in place will allow all of the wizard install processes to complete. The Windows 7 machine we used for testing the Pro-1 uses AVG anti-virus, and we had no issues with permissions while installing the print driver and Canon software. Clicking next will start the actual install process. 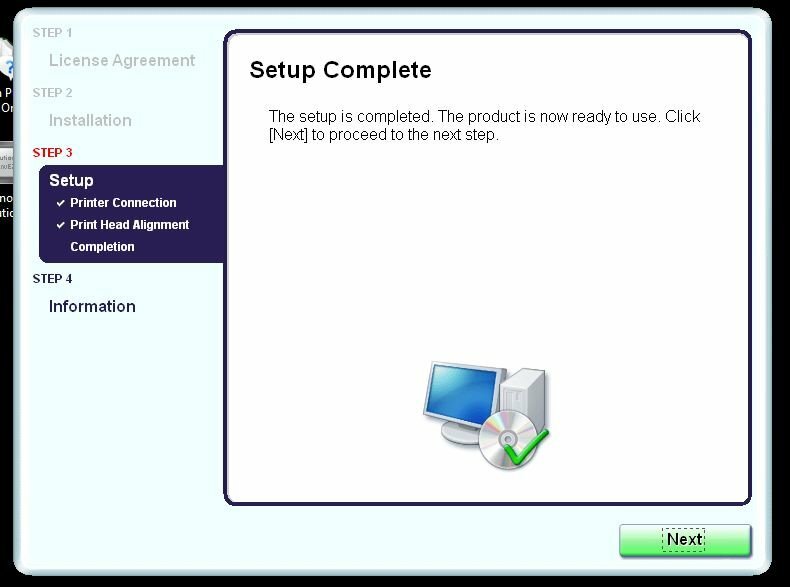 Once installation starts, this status box is displayed with an approx. countdown until completion. Once you've installed the printer driver and software, you now have to setup your Pro-1 printer. The first step is to plug the USB cord in (when using USB method instead of Ethernet). 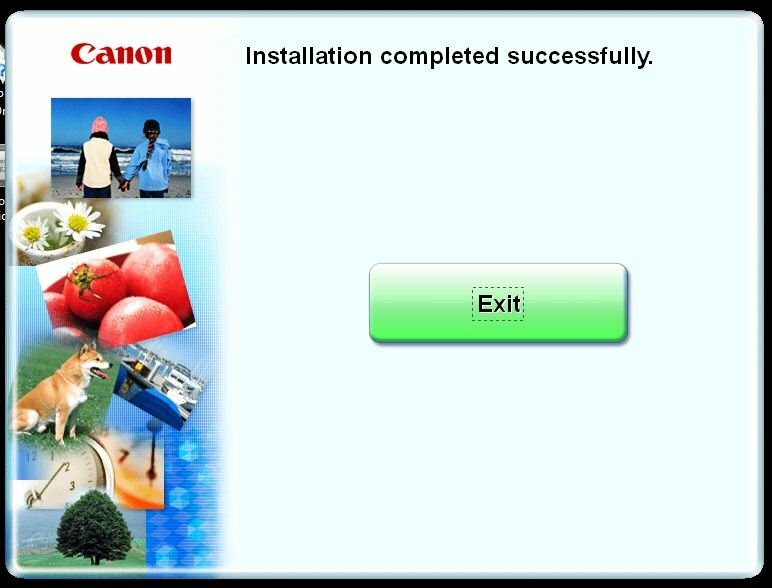 Note that Canon does Not supply a USB cable. Before this point, you should have already installed the print cartridges and print head, and the printer should be powered On. Next you need to align the print head. Canon includes 4 sheets of the special print alignment paper, which you will use 2 sheets of when doing the initial alignment. Insert the paper, then click Execute. 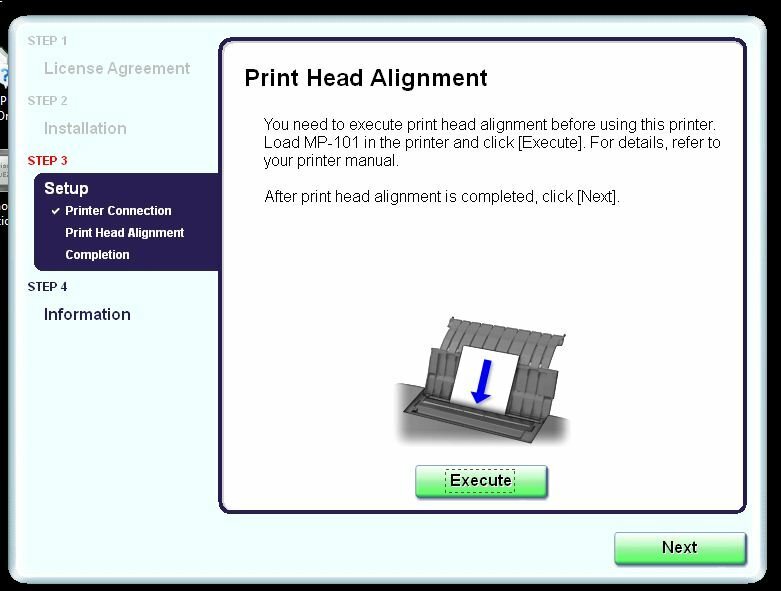 Once we clicked execute, it took the printer about 15 minutes to "prime" the ink delivery system, then another 7-8 minutes for the print head alignment process. Canon quote a process time of 7-8 minutes, which is what we noted after the initial priming of the ink system. The screen above is shown once the alignment has begun. Congratulations, your Pro-1 is now setup for USB printing! However, you still have about three screens left before the installation process is actually complete. 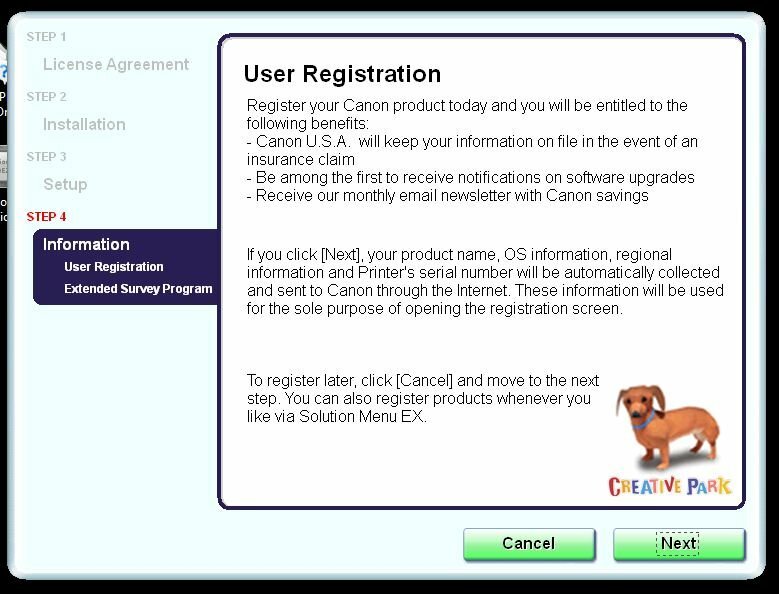 You get the option to Register your new printer with Canon, which is recommended in case you need any support from them in the future. Then they ask if you agree or disagree with participating in their Extended Survey Program. 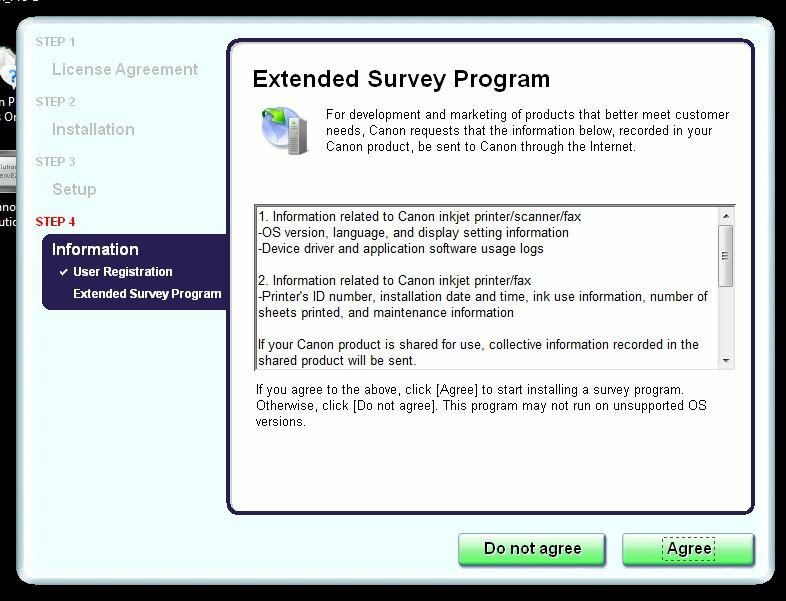 By agreeing, you'll be sharing information over the internet with Canon on their products, what settings you're using, what OS, etc. This is up to you, however we chose to agree to this program. Installation is now finally complete. It took use about 45 minutes to and hour to unbox the Pro-1, remove all the packing tap, install the ink cartridges and print head, and install the print drivers and Canon Software. This time also includes taking photos and screen captures during the entire process; so your mileage may vary.